Previous post: Top fitness tips to succeed this year. Thanks for this post, Chape! I definitely have rounded shoulders (though not as bad as I once did), so this info is going to help me. 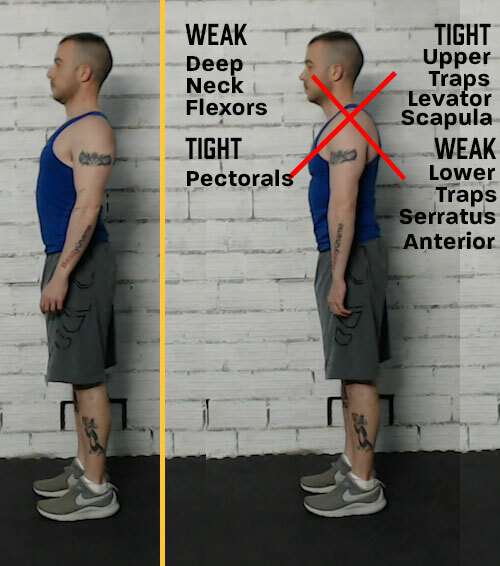 I already tried most of the stretches you covered in this post, and I found that I was very tight when I performed the upper limb fascial nerve stretch; looks like I’ll have to do that stretch repeatedly to loosen up. I won’t forget about the exercises! I was just following along with the stretches as I was reading your post. I’ll have to keep doing the fascia stretch too, because it hurts so good! Muchas gracias, Estrella 😊 Anímate que los ejercicios son fáciles y divertidos. Seguro que ni siquiera sudas 💪 Un abrazo!! Informative, I’ve rounded shoulder, but then I’m totally round!